At Astrobrite the most important priority is our loyal customers and their happiness and complete satisfaction. 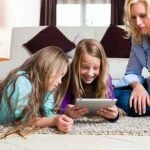 We strive to leave your home better than we found it, and we guarantee the best prices and professional service Rug Cleaners Fairfax VA Services Better Carpet Care Northern Virginia. 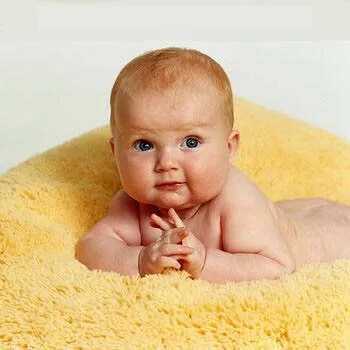 From our 10 step deep carpet cleaning to our specialty deep stain removal to disinfecting those areas that get the most use, our thorough service “Rug Cleansing Fairfax VA Services Best Rug Care Northern Virginia” carpet cleaning company will be proud to bring you what you want. The best step to a very clean home is to communicate! Call or email to tell us about your job and how we can help. We’ll ask for photos or come in person to see the area, and then we’ll give you a fair quote. GUARANTEED MOST THOROUGH CLEANING EVER OR IT’S FREE! If all you want is cheap, brush the dirt off the surface cleaning, please call another company. Our method will give you the most thorough cleaning ever! Plus protect your family’s health. You will feel completely overjoyed with your beautiful looking, soft, fresh smelling carpet. I guarantee it or we will re-clean it free. If you are still not happy with our deep cleaning I will refund every penny. That’s my word and my word is my bond. We scheduled with another company who didn’t show up. After I found Astrobrite and saw all their positive reviews and that they guaranteed their cleaning or it would be free I called them. Jesse came right out in about one hour and a half. He did a fantastic job and got out five years of urine stains and God knows what else. I will be calling Astrobrite every time we need carpet cleaning. Astrobrite was very professional. They cleaned our carpets, our sofa and love seat. Wow, what a difference! We recommend their company 100 percent. The technician Tom was very professional and did a great job. I already referred Astrobrite to my neighbor who was thrilled with her rugs after the cleaning they did for her. Thank you Astrobrite. 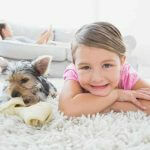 Carpet Cleaning Fairfax VA Service Best Rug Care North Part Virginia. Please see our reviews. Commercial carpets don’t seem to get the same attention as our home carpets do. More often we consider commercial carpet cleaning about as important as visiting your worst enemy. They are treated as a burden not worthy of someone’s time or care. It’s regrettable because a little knowledge and your commercial carpets would stay looking like new for a long time. The key to successful commercial carpet cleaning is knowing your carpet. By the time you are finished checking out this article, you’ll know how to get to know your commercial carpets better. Once you get familiar with your commercial carpets your commercial carpet cleaning will be effective and keep your carpets looking new. Many commercial carpet cleaning processes use water. There are both benefits and disadvantages to using water to clean your commercial carpet. By knowing the type of carpets you have you can choose the appropriate cleaning process for them. First, you need to know what variety of backing the carpet has and how the carpet is connected to the floor. Next, you need to know the type of yarn and what the carpet fibers are constructed from. Once you know this you can extend the life of your carpet by utilizing the correct amount of water solution. Most commercial carpet cleaning contractors will agree that the more water you use during the cleaning the better the cleaning results will be. Because the more water you flush through the more dirt that is transported. And this is absolutely true. 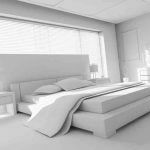 When you use water is becomes the medium and the dirt gets suspended in the water, however, the more water you get onto the carpet the more water that is left in the carpet which can create plenty of problems. Water left in the carpet can cause mold, stretching, damage to the subfloor, and damage to the adhesive to name just a few of the problems. By knowing the kind of carpet you have you can determine the correct amount of water and solution to use so you don’t encounter any of the problems from excessive water. The carpet backing is the layer between the carpet fibers and the subfloor. There are many different types of backing but the two main categories are permeable and impermeable. A permeable back allows water to travel through the backing to the floor’s surface. In commercial applications, this is generally concrete and the carpet is glued directly to the floor. Over-wetting the carpet allows the water to reach concrete which can result in very long drying periods, and staining from wicking which is caused by the wet carpet absorbing minerals from the concrete. Another big problem is that most of the adhesives are water soluble so you know what the water does to the adhesive. It dissolves it. An impermeable backing doesn’t allow the water to reach the floor surface so the water never affects the adhesive or causes wicking. An impermeable back means your carpet will dry a lot faster. There are also two main types of face yarn used in commercial carpets. They are loop pile and cut pile. Loop pile has carpet fibers that create a closed loop that is more tightly woven and provides fewer places for the dirt to get lodged or the water to soak in. Cut pile has open face yarn with individual threads. Because the fibers are looser there is an unlimited number of places for the dirt to reside and the water to hold. So if you have a cut pile carpet with a permeable back on a concrete floor what do you think will be the result. Well, you’ll almost have a wading pool if you don’t use a minimal amount of water. Too much water and you’ll be waiting for days for the carpet to dry and the glue will let go in the process. There are also two types of carpet fiber that clean well with water. Nylon and Olefin are both common in commercial carpets. Neither absorbs water so you can use a good dose of water without worrying about soaked carpets. However, you need to watch the chemicals because a few of the harsher ones can lift the dye off of the nylon. Wool is a natural fiber and it absorbs water which means you need to watch the amount of water you use with wool. You also need to be careful when using harsh chemicals which can react with the wool. Finally, to sum it up a nylon carpet with an impermeable back is the easiest to clean and maintain. You can use plenty of water and you won’t need to worry about the glue lifting or it takes days to dry. Regardless of what carpet combo you have the key to successful commercial carpet cleaning is knowing your carpet.